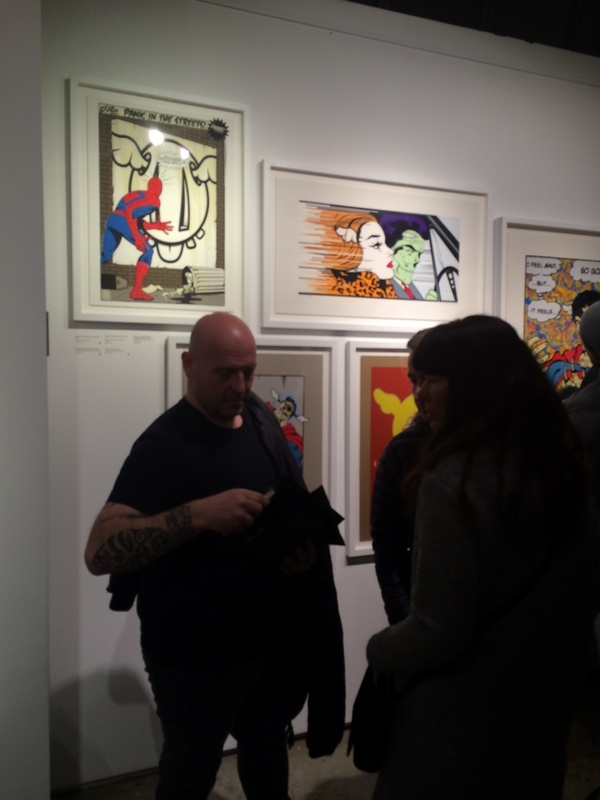 “D*Face is one of Britain’s leading “newbrow” artists, and damn if he isn’t as sharp and clever – if not quite as surreptitious – as Banksy (and sharper and cleverer by half than Damien Hirst. )” – Peter Frank. On April 14th 2016, renowned urban artist of his generation D*Face presented his ‘Misfit and Misprint’ as a series of one off paper pieces as the Stolen Space Gallery near Bricklane, East London. In this series D*Face delves into his print archives to bring us his one off paper pieces, proofs, misprints and never before released editions. Having a dysfunctional characters in one housing - D*Face works with a plethora of mediums and techniques to “satirise and hold to ransom all that fall into their grasp”-a spasmodic dowse of today’s media- saturated environment. There is a bizarre fascination (which has increased over time) with celebrity fame , consumerism and materialism and D*Face’s imagery its for us the public to not just see the images but to look at what surrounds these characters and their lives. Even though D*Face was one of fifty commissioned artist to create the 50th Anniversary Penguin book cover and the only “Urban” artist two appear on the Art Review, a fine art publication. His works also sells in auction houses such as Bonhams, Sotherbys and Christies. Plus he humbly continues to illegally put his work into the public domain. In 2010 for her number one selling album, ‘Bionic’, Christina Aguilera commissioned him to do the artwork for her album and to put the cherry on the cake she is also an avid collector of his work.